The Columbia Fire Department is the largest in the state and is responsible for serving nearly 500,000 citizens within the City of Columbia and Richland County. Firefighters respond to 35,000-40,000 emergency incidents per year from rural to densely urban areas. Fully staffed, the Columbia Fire Department has 500 personnel covering 32 fire stations. 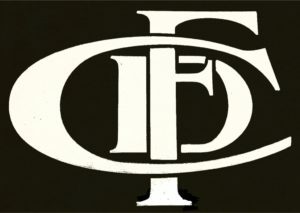 Firefighters began protecting the citizens of Columbia in 1825 through volunteer fire companies until the Columbia Fire Department was officially established on January 22, 1903. It was staffed first by 40 firefighters and one fire chief. Firefighters earned a modest monthly salary of $40 in 1904. The first motorized apparatus was acquired in 1910. Currently, the Columbia Fire Department relies heavily on 514 active staff members: 491 career firefighters and 120 volunteers. The Columbia Department is now one of 14 fire protection areas in South Carolina to achieve a Class 1 rating. 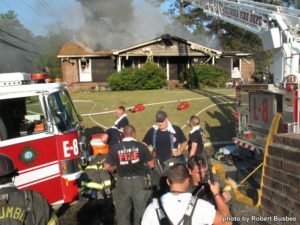 Richland County, as a whole, has obtained a Class 2 rating — placing Richland County in the top 2% nationally for establishing appropriate fire insurance premiums for residential and commercial properties. Columbia Fire Department is one of only 73 of the 601 fire-protection areas in the State to reach this significant accomplishment. . In addition to fighting fires, our personnel are also emergency medical responders (EMRs) and/or emergency medical technicians (EMTs). Responding to a scene of crisis to assess health emergencies, our firefighters provide many valuable services beyond bandaging wounds or stabilizing injuries to the head, neck, or broken bones. Firefighters also provide Basic Life Support (BLS) treatments as needed, such as performing CPR and using an AED. This includes resuscitating drowning victims and providing patients with oxygen. Firefighters sometime assist Richland County EMS with transporting patients to the hospital and are qualified to facilitate emergency childbirth procedures as may be necessary. The Columbia Fire Department consists of both Rescue and Hazardous Materials (Haz-Mat) operations, including all disciplines that fall within those functions. This includes, but is not limited to, the following rescue disciplines: vehicle extrication, machinery entrapment, elevator rescue, trench collapse, confined space rescue, rope rescue (high and low angle), and swift water rescue. Furthermore, the Metropolitan Medical Response System (MMRS) Program integrates emergency management, health, and medical systems to achieve coordinated responses to mass-casualty incidents caused by any hazard. Columbia Fire Department’s brotherhood is a feeling you can’t explain; it’s in your heart and soul. It’s a love of the job and the people who make it up: you and your brother or sister. It is especially present when you get that multi-alarm notification of a structure fire that sends you running to the apparatus, jumping into the seat, and starting your mental check list as the grouchy white-haired Captain seats himself quietly. It does not matter if you are male or female or from any other strata of society within which you personally identify. Brotherhood isn’t a term defined by gender, anymore than it is defined by any other classification or stratification of our global society. 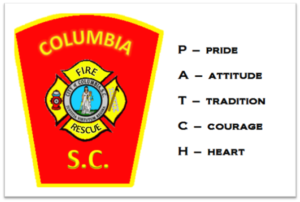 It is something you gain by living life daily with your crew and your company, becoming a team and unified family as you prove yourselves stalwart and capable in the Columbia Fire Department, proud to stand side-by-side. 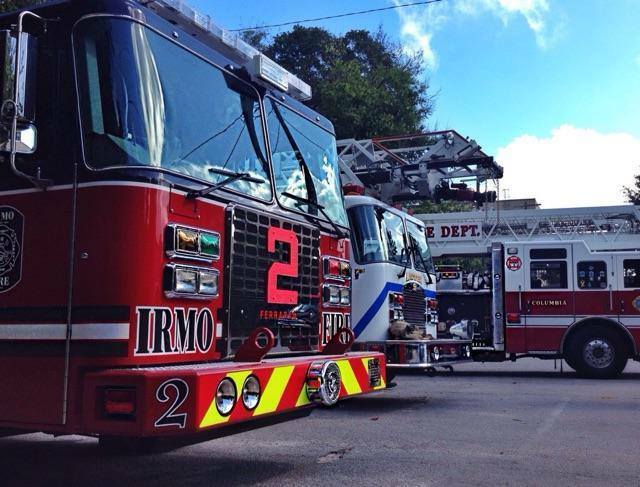 The Columbia Fire Department (CFD) also has mutual aid agreements with nearby counties, such as Irmo and Lexington, and assists several other counties as the need may arise. CFD partners with two local military bases as well: McEntire Air National Guard Base and Fort Jackson. We understand the importance of mutual support, know mutual support’s components, provide support constructively, and use the two-challenge rule to advocate for ourselves and our partners. Support services are rendered as we strive to provide support for our citizens and those in the Greater Midlands area with expectations and rationales, collaboration around a mutually defined action plan, and procedures to manage teamwork effectively. Everyone benefits from mutual support and teamwork.